This unique collection showcases a sampling of Canadiana that was popularized in the mid-20th century. The tunes showcase many playing styles, such as Breakdowns, Reels, Jigs, Polkas and Waltzes. Most were recorded between 1940 and 1980 and many were based on traditional melodies brought over to this country by our forebearers in the eighteenth century, but given their own unique twist by the artist. 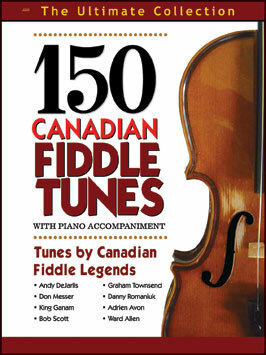 Includes such songs as: Mountain Girl Breakdown (Ward Allen); The Papermaker's Breakdown (Don Messer); Pretty Little Cindy (Graham Townsend); The Shelburne Reel (King Ganam); The Spirit of Spring Hill (Townsend); Two-Step Polka (Ward Allen) Winnipeg Reel (Andy DeJarlis) and many many more!